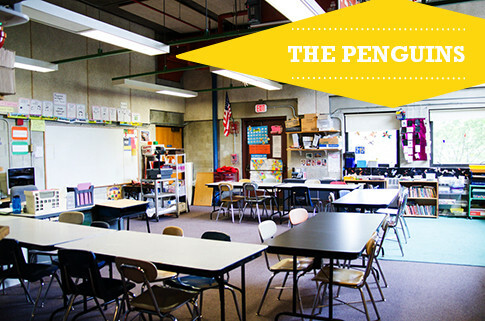 THE PENGUINS ROOM is located in the Main Building next to the cafeteria. 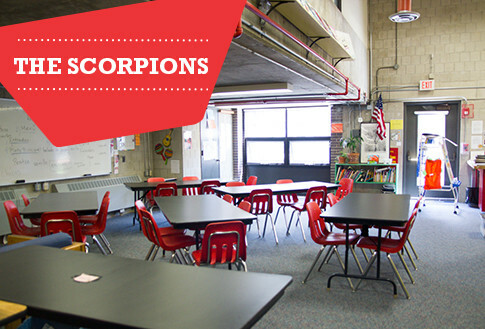 THE SCORPIONS ROOM is located in the Main Building next to the art room. Alaina became part of the PSED staff in April of 2014. Alaina grew up in New Jersey and received her BA in Visual Art, along with a teaching certification from Rampo College of New Jersey. In 2012 Alaina earned her MFA from the Museum of Fine Arts and Tufts University here in Boston. 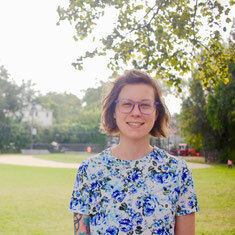 Prior to joining us at PSED, Alaina worked with Steps to Success in Brookline, as the After School Coordinator. She had also worked as the Director and Lead Teacher of the Teen Advantage Program, also with Steps to Success. Alaina recently started her own calligraphy business called Extras by Alaina. John is one of PSED's longest tenured staff members, we are thrilled to have him back! He is from Lowell, but now lives here in Boston. John is in his first year with the 3/4/5 team. John received his bachelors degree in psychology from UMass Lowell, and has spent ample time working in education, and different settings with students of all ages. In his free time, John loves to make music. He is in several bands, and you can catch him playing live every month! Dan brings both education and community focused experience to the PSED team. He participated in City Year Boston from 2011-2012 and spent the summers of those years as part of the Waltham Day Care Center. He has also worked at Summer Launch at the Devotion School in Brookline and is currently a Para at the Heath School. He studied at Wheelock College in the fall of 2012 and is in the midst of earning his teaching degree. He enjoys writing music, playing sports and working with kids. Dan is a big time sports fan who loves the Bruins and the Celtics, and he loves to share his sports knowledge with Scorpions and Penguins. Erin was born in Springfield, Massachusetts and grew up in a very small town called Washington in Western Massachusetts. She went to the University of Massachusetts Amherst and studied Kinesiology. Erin has been babysitting since the age of 16, substituted in Western Massachusetts, and served as counselor at Running Brook Day Camp for 2 years. Erin love sports! She is a big fan of the Patriots and loves to watch the games with my family and friends. During my free time Erin enjoy being active which includes activities like roller blading or hiking. Welcome back to PSED Elvis! Elvis was born in Brooklyn, NY and raised in Boston MA. Elvis attended Cambridge College where he studied Information Technology. Elvis discovered his passion for working with the youth while working for Citizen Schools several years ago. Eventually, Elvis moved to Honduras to teach english and history where he gained experience in a new environment. When Elvis isn't at work, he is most likely reading a book, biking, or hiking with friends. Meet Eliza. Eliza grew up in Southborough Massachusetts and in 2018 she earned her BA in Dance from Goucher College in Towson, MD. She has taught at a variety of summer camps with art focuses and even worked at the Extended Day Program that she grew up attending in Southborough. When Eliza isn’t working at PSED she is likely taking dance class, rehearsing, exploring the outdoors, or making jewelry. This is Eliza’s first year working at PSED and she is excited to get to know all the students and staff and finally learn how to play dodgeball. Laura is another new member to the PSED team. Laura grew up nearby in West Roxbury, MA. She is here at PSED after he previous work teaching environmental science to 5th graders. Laura was also a freshman RA in college and has worked as a team leader for a job readiness and environmental stewardship program working with intercity teens. In her free time, Laura loves to knit, read, make and eat fun and creative foods, hike and watch movies. This year, Laura is most looking forward to working on fun and creative projects with the kids and seeing their development over the course of the year.